Buying a house can be an incredibly stressful time. It can also be a really exciting time and something that you remember fondly. This all depends on how your transaction goes through and how many problems cop up. The time it takes is also a big factor in how you view your purchase so it is worth considering ways to speed this up. If you search online for houses you will come across vendors who are keen to make a quick sale. For lots of people it is in their interest to sell quickly – often so they can buy a new home that they have their eye on – and this kind of vendor could be your way to buy quickly if you are in a position to. Some vendors offer discounts for quick completion of the purchase transaction so you could even save some money by moving fast. There are a number of conveyancing law firms that specialise in getting house purchases and sales through quickly. They are aware of the importance of getting things moving for a lot of people and they therefore offer services to cater for such clients. Most people want to get these transactions over with a fast as possible so using a firm that knows what it is doing and can act quickly is a real bonus. One thing that can slow down a house purchase is money. Even if you have had a mortgage loan approved if you don’t have the deposit ready to go to your lawyer it can slow things down. So if you want things to go smoothly and quickly make sure that all your funds are in place to go at a moment’s notice. Before you try and buy you should find a conveyancing lawyer who you know can work quickly. Some firms work faster than others so do your research before you commit and find a firm that has a proven track record of sorting out quick transactions. I thought my property was ready for a quick sale but the buyers lied. They said they wouldn’t finance such a big part and then they didn’t get approved for the loan. I guess in the meanwhile you only have their word for it. I also learned the hard way not to just rely on people’s word in real estate transactions. Sometimes people are just making assumptions about financing issues. I don’t know if they have this everywhere, but here in the states, we have a mortgage preapproval letters. That always helps to make the buy/sell process go more smoothly. Yes they have those in Canada too. That helps out with ensuring the buyer can afford it. In my case it turned out to be the seller who couldn’t afford to sell. 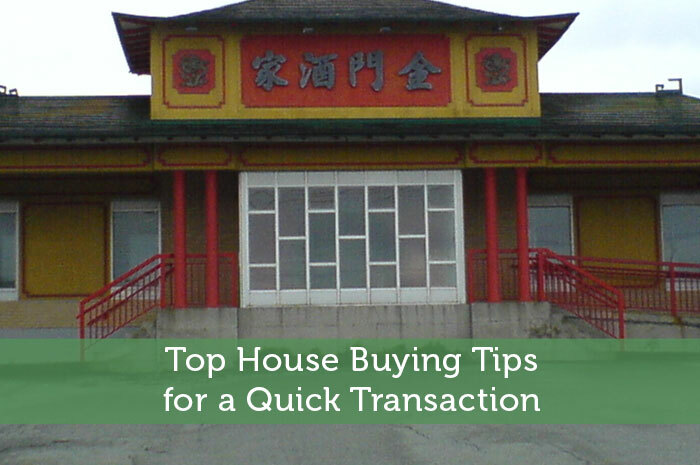 Real estate transactions are quite complicated and you must understand the intricacies in order to get the right deal. Property transactions are quite complicated to understand and make decision to right deal for your property its difficult..
Conveyancers can save buyers or sellers time and money. Where almost everything is done online now, one should be careful in choosing a respectable conveyancer. Get a conveyancer who can tell their fees upfront and with no hidden costs. Thank you for the help. My wife and I are going to need to find and buy a house quickly this summer. I had not realized how helpful it would be to have a conveyancing service to be successful in that. It sounds like they would keep the process much more organized. How would you go about choosing a conveyancing service? These are some great tips, and I appreciate your advice to get a good conveyancer to make a house purchase faster. My husband and I are going to be moving in a few months, and we still need to find a house. We’ll definitely look into getting a good conveyancer that specializes in making things proceed more quickly. Thanks for the great post! I really like your tip to find a conveyancing law firm. That is something that I didn’t realize I would need. I like that you mention they can help the process go faster since they are familiar with the process and have gone through it many times. At what point in the buying process should I hire a conveyancer? Thanks for these tips!